What’s inside: Free printable cut and paste worksheets for preschool and kindergarten! One of the many skills children get to practice in preschool are definitely cutting skills. 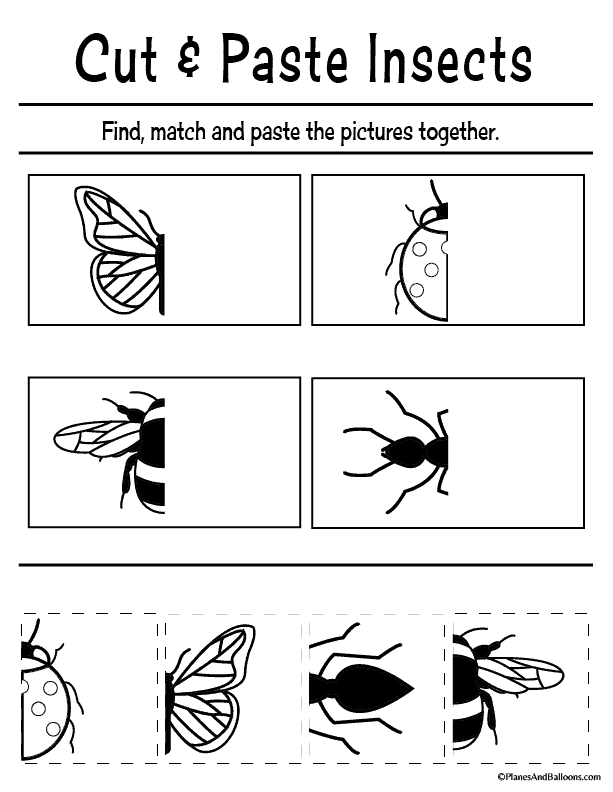 To encourage this ability even further, I’ve made these fun cut and paste preschool worksheets. 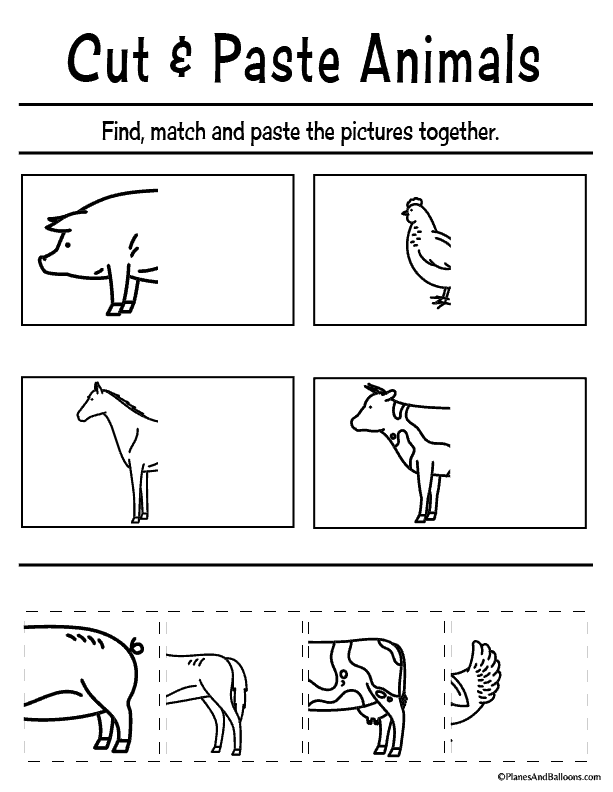 They cover topics familiar to all preschoolers and I am sure they will enjoy coloring them too. 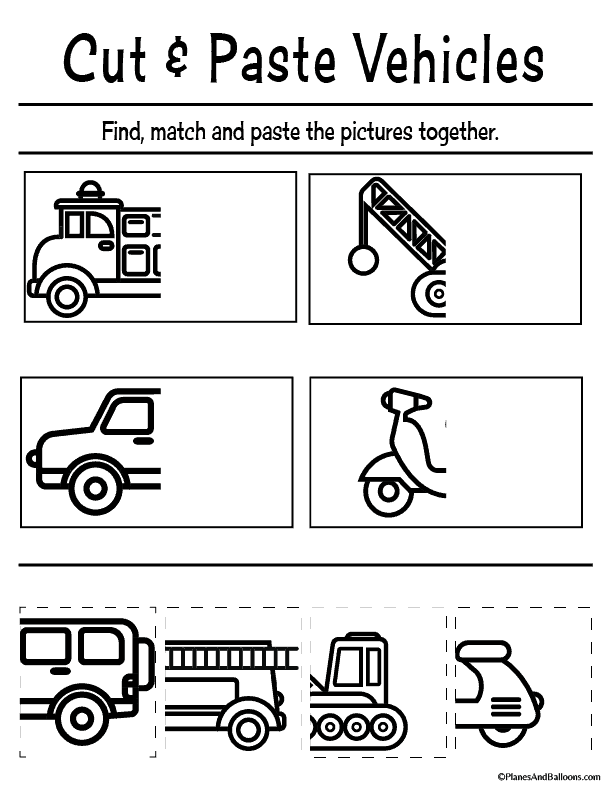 In this set of preschool worksheets, I focused on topics close to preschooler’s heart. Therefore my cut and paste activities contain images of various vehicles, animals, insects, and dinosaurs. And a bonus is that they all can be colored. Hence this activity goes beyond cutting and pasting. 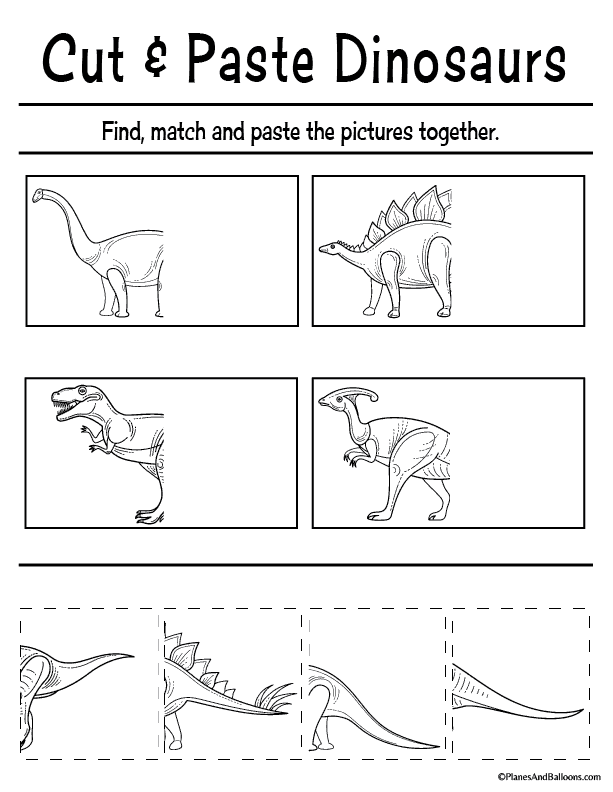 There is a total of four simple cut and paste activity sheets included. Use them during center time in the classroom or as a fun independent play at home. They are so universal, that they can even complement common preschool lessons throughout the year. So as you see, there are many possibilities to use my simple cut and paste activities. 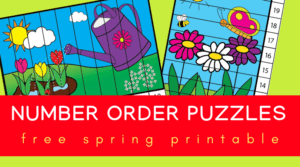 If you are in need of quick and ready-to-go printables, then I am here to help you out. Simply click on the link at the very bottom of the post to download your pdf. No sign-up required! 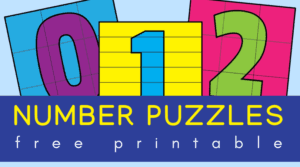 My printables are for personal and classroom use only. Any re-distribution or altering are not allowed. Thank you! WOW, love your website! So excited to have found it! I homeschool my two older kids (8 and 10) and send my 4-year-old to pre-k 3 days a week, but I am going to be using your site to keep him busy on his off days! He is really enjoy these cut and paste worksheets right now! Thank you! Thank you for your kind words, Katie! Thank you so much for these. This is awesome!